It is no secret that hydraulic cylinders have served as an unrivaled resource in civil engineering and the industrial machinery industry. With an overwhelming power density, these impressive pieces of equipment are relied on heavily when it comes to lifting, pushing and pulling large loads. Hydraulic cylinders have been the primary machination used when technicians require high-force power – but new equipment that enables designers to keep their manufacturing cleaner and more precise is now taking the stage. When it comes to manufacturing environments, utmost cleanliness is of extreme importance. Because hydraulic cylinders have been known to have problematic tendencies – such as sometimes unavoidable leaks – creators have been seeking alternatives to hydraulic cylinders that can still provide ideal accuracy, control and purity in their vital projects. Electric linear actuators are similar to pneumatic cylinders and possess incredible power for their size and voltage capabilities. They are used to convert rotating movement into a linear motion – when voltage is applied to the motor the shaft can be extended outwards and inwards. Because electric linear actuators have displayed so many benefits when it comes to accuracy and sanitation, they have become a desirable resource in the medical industry. For example, pharmaceutical and medical equipment manufacturers look to avoid any kind of contamination – such as leaking from hydraulic cylinders – to maintain their aseptic conditions. Electric linear actuators have no fluid to leak and are non-toxic and energy efficient. While electric linear actuators are mostly recognized for their precision and simplicity, there is something to be said about their ability to eliminate cross-contamination. They offer OEMs an impeccable alternative to the powerful hydraulic cylinders. 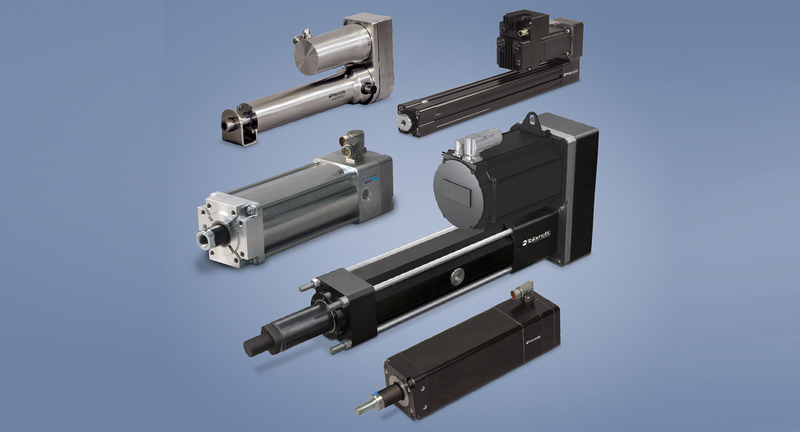 You may look to any of the many trusted brands, such as Tolomatic, which highlight the advantages of electric high-force linear actuators and offer different sizes and customizations to accommodate various requirements of your machine designs.